Olive oil is the staple of the healthy Mediterranean diet – and one that countless studies have credited with being the healthiest in the world, due to its ability to prevent a number of chronic diseases by lowering high blood pressure, high blood sugar, as well as bad cholesterol. Interestingly, a recent study, printed in The Telegraph, has highlighted a number of bedroom benefits associated with the oil. The study linked olive oil to improved male sexual health and with erectile dysfunction affecting about 5% percent of men in their 40s, with the number increasing to about 15% of men at age 70, proving that the men in our lives might want to start adding this oil to their salads. Researchers at the University of Athens School of Medicine in Greece conducted a study focusing on the the benefits of a Mediterranean diet, more so on sexual health. For the study, the researchers recruited 660 men who had an average age of 67. Some of them were then encouraged to adopt the Mediterranean diet – eating a diet rich in nuts, fruits, vegetables and legumes, low in red meat and refined foods while also moderately high in dairy and fish. They also replaced all butter with olive oil – nine daily tablespoons of olive oil to be exact. The study revealed that those who consumed the Mediterranean diet had improved sexual health. Specifically, the study saw that the nine tablespoons of olive oil actually reduced impotence by around 40%. In fact, olive oil also elevated testosterone levels and this then helped the men not only get an erection, but also maintain it. The oil also encouraged the dilation of the arteries- which translates to improved blood flow which also boosted sexual function. “What we found here is that the Med diet has a positive effect on aortic dilatation.” explained lead researcher Dr. Christina Chrysohoou. 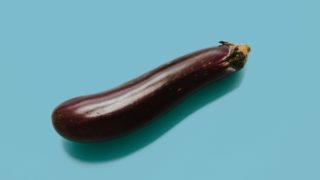 “It keeps your blood vessels healthy and helps men maintain sexual function, and in all of all of the med diet components, it is the olive oil that has a specific effect on aortic dilatation and sexual function as well.” Moreover, unlike viagra, olive oil’s benefits lasted way beyond the three hours commonly associated with the blue pill. While erectile dysfunction can be both embarrassing and potentially fatal for your relationship, it can also be a precursor to heart disease. Thankfully, the Mediterranean diet provides a natural remedy that, unlike viagra, is free from uncomfortable side effects. However, while adopting the Mediterranean diet can be great for your sexual health, it is important to consult your doctor so that they can check if your erectile dysfunction is part of an underlying medical problem. Click here to find out about your sexual life stages and how they affect you.